Panaji: The Goa health department ordered an inquiry into alleged misappropriation of funds to the tune of Rs 6.5 lakh from the treasury of state-run Goa Medical College and Hospital (GMCH). Health Minister Vishwajit Rane, after visiting the hospital, said the money was syphoned from the treasury in 2016, but no proper inquiry had been conducted till now. “I have ordered a detailed inquiry in the crime in which Rs 6.5 lakh was syphoned from the treasury of GMCH,” he said. The minister claimed during his routine visit to the GMCH today, he was told about the misappropriation in 2016, when a Congress-led government was in power. However, the dean or the then administrator of the medical facility, located here, took no action in the matter, he said. “There was an inquiry (previously) which was an eyewash and the entire matter was hushed up. I have ordered a fresh and detailed inquiry into the matter which will fix the responsibility and we will also recover the money,” he said. 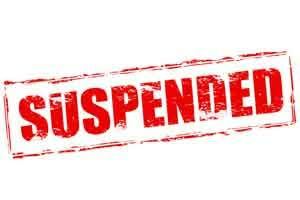 The health department recently suspended four officials for their alleged involvement in the embezzlement.